Tomorrow I will be getting on a plane and taking a vacation first to south Florida to visit friends and family and then to NYC for some blogger meetups and shows. So over the next week you'll have a bevy of wonderful guest posts on a variety of topics that are sure to inspire. But for now, I'm leaving you all with an end of summer giveaway! 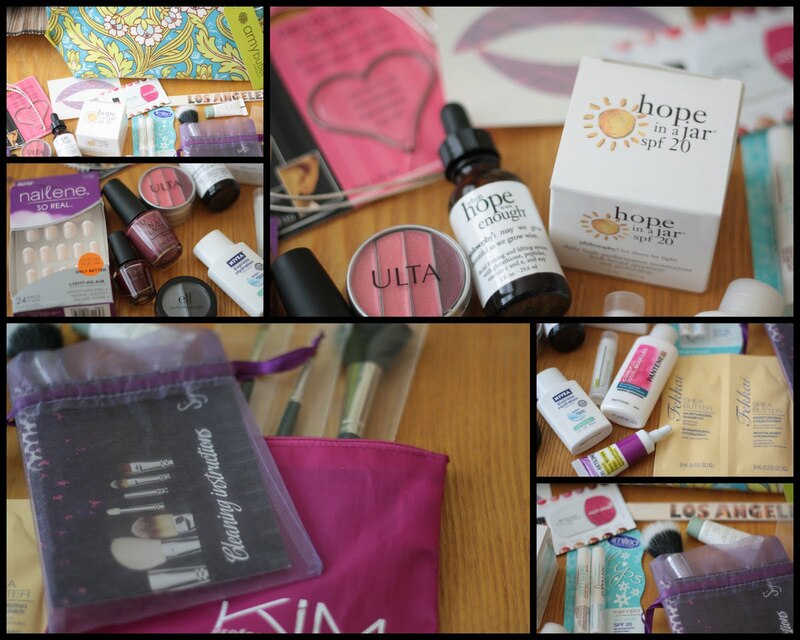 I haven't done a big giveaway like this since the Makeup & Muses giveaway in spring. This End of Summer Giveaway is open to everyone and ends September 13! Shout out to Heidi of The Closet Coach for featuring me in her post today! Go check it out. I follow you and I'd love to be entered. I hope you have a great time in Fl Cheryl!! I'm sure you are glad you missed all that stormy weather. What a great giveaway! 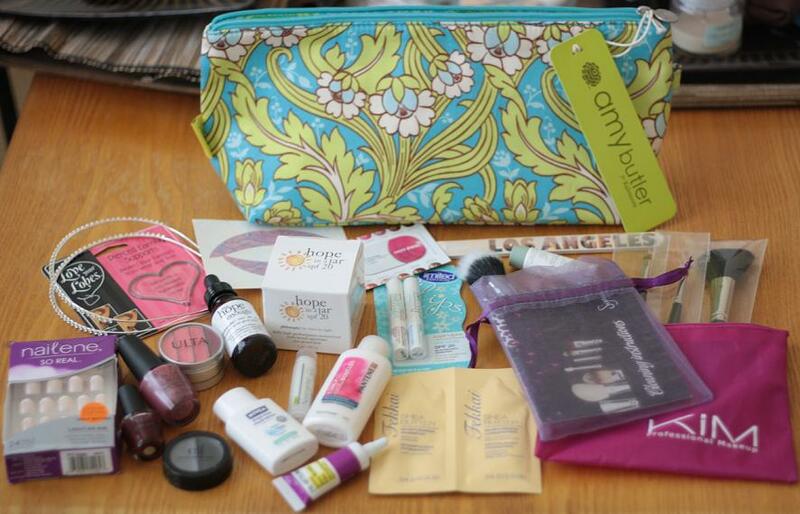 I dont use makeup too much, but I think my stepdaughters would love this...love the makeup bag and the Hope in a Jar! PS I RT on Allwomenstalk twitter! Again have a great vacation! I follow you via gfc as doroffee. I am a follower. Thanks for the opportunity! Great giveaway! Have a great vacation I followed you under GC at the email prettyhaydengurl@yahoo.com. I follow you through Google Friend Connect and Twitter(@BrittxxScandal). I am a fan of you on Facebook (Brittany Spencer). I also tweeted about your giveaway. What a wonderful giveaway, Cheryl! Thanks so much. :) My email is xtheredangelx@gmail.com, and I am a longtime follower through Facebook and Google Friend Connect (I have my own FB page now for TRA so that's how you can find me under the Pages who Like yours!). This is an AMAZING giveaway. I would die and go to heaven if i were to win this. I'd take it all to heavan with me, of course! I follow your blog via GFC with the name érre. I also follow you on twitter with the name Conhoca. I like the facebook fan page with the name Érre Blogs. Have a great time at the meet ups and show us photos later! I follow via GFC & I'd love to enter! --- I just liked you on FB under: Nicole O. Follow your blog red66060@yahoo.com and want to enter. Gah! Enter me, enter me, enter me! Hello! Me= number 1500 follower! I'm happy! Lovely and thanks for this giveaway! I'm a Facebook fan and you're listed as a favorite page of my pages! Im a gfc follower and would love to be entered! Good luck to the winner..
Oooh count me in, count me in!! :) Fantastic giveaway. Omg. I also follow you on twitter already. i would love to enter, this is such a lovely giveaway!!! thanks for being so generous :) you know where to find me! Following via GFC. Pleae enter me in the contest. Yay for yet another fabulous giveaway! Already following you on google, bloglovin, twitter and like you on FB! whoo hoo! this looks completely amazing! already following on twitter and google. will like on facebook and bloglovin as well! much love! enjoy your trip! Enter me please! I'm already a follower on GFC (fisiwoman). I follow you and I'd like to enter. Oh wow! I sure hope I get lucky! I'd love to enter :) Thank you! Awww I didn't know your ears weren't pierced. Nice giveaway! Enter me please.. I Follow the Muse on Twitter! I'm now a fan of the Muse on Facebook! I follow on bloglovin' with the same email address. ~ I follow you via GFC and I would like to enter! I follow you and would like to enter . I would like to enter..
<3 only three more days woo hoo! Great giveaway, Cheryl! I follow you on GFC (of course), as well as on twitter and facebook for 3 entries total! Thanks so much! following you via GFC. Thanks for the chance to win!